I’ve decided to use my blog to share a fond holiday memory with you all. I recently posted about my love of traditions, and my experience producing the Jack Keenan Christmas Special on Albany radio was a holiday tradition for me for ten years. My friend Jack Keenan passed away a short time ago, just before Thanksgiving 2014. I met Jack in 1999, the year I started working as a producer for 810 WGY in Albany, New York. 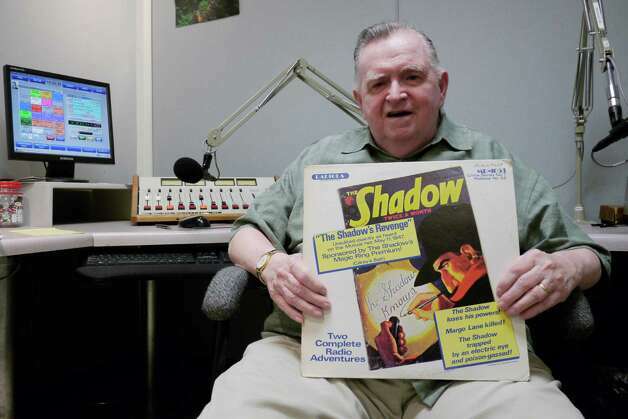 The Jack Keenan Christmas Special was a staple of the Capital Region airways on Christmas Eve and Christmas Day for 29 years, the majority of which was spent on 810 WGY in Albany. The final two years of the show, 2008 and 2009, were aired on Talk 1300 WGDJ-AM Albany. The show had hundreds of guests over the years, but only one host. 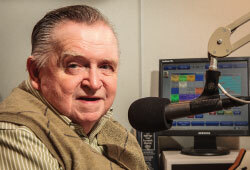 And let’s not forget the show’s one and only announcer for all of those years – Mr. Gil Roy, Albany radio stalwart who has worked more than 50 continuous years in radio. I was lucky enough to produce the Jack Keenan Christmas Special for its last ten years, 2000-2009. 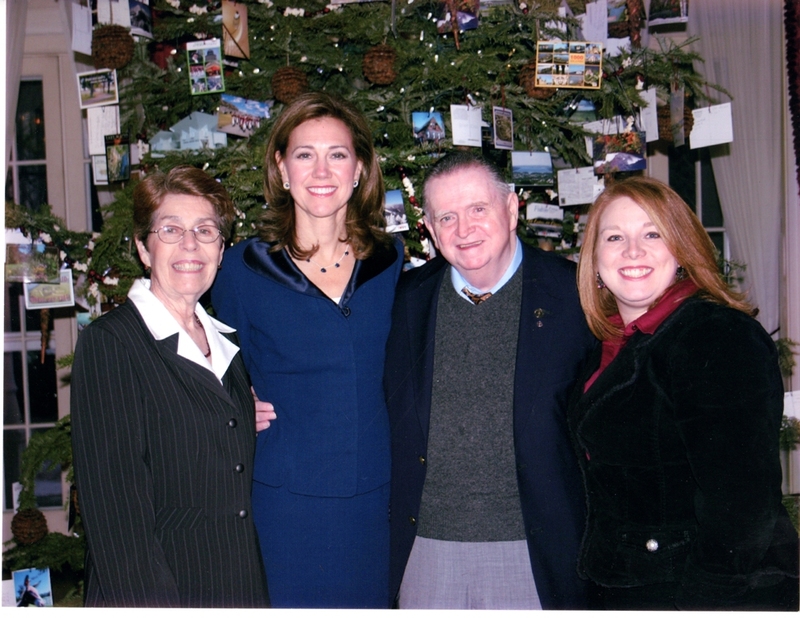 My holiday seasons during those years were a frenetic flurry of celebrity interviews (we got to go inside the NYS Governor’s Mansion twice – to meet Gov. George Pataki and another time to meet Mrs. Silda Wall Spitzer – see photo at the bottom of this post), late-night editing sessions, and the off-air antics of Jack and Gil. It was never a dull moment in that studio, that’s for sure. There was one year, 2008 I believe, where we had to make alternate arrangements for the show production: Jack had suffered injuries in an automobile accident, rendering him unable to drive and thus travel to the studio. The guests that Jack had booked, including elected officials, news anchors, and even Bishop Howard Hubbard, made the trip to Jack’s house where I had set up a makeshift recording studio in his dining room. Everyone joined together over several weeks to make it happen, because there was no way the Jack Keenan Christmas Special wasn’t going to air! Jack lived for that show, and I was proud every year to help him make it. Jack was always grateful to the program directors at WGY and Talk1300 for allowing him into the homes of Capital Region listeners. He enjoyed “reminiscing” with old friends and local celebrities, who always enjoyed sharing their Christmas memories with listeners. 2009 was the last year that the show was able to find a home on Capital Region radio – a 29 year run. Jack always hoped his Christmas Special could get that 30th year on the air, and presenting this show to you here on my blog is my way of honoring his wish. I will be sharing with you segments from the final two years of the show – 2008 and 2009. The segments are a wonderful mix of local Capital Region celebrities, clips from the Golden Days of Radio, classic holiday music, and lively banter between Jack and Gil. Each hour of the shows will be posted separately, so you are able to listen online or conveniently download episodes to your device using your favorite podcast app or reader. The episodes will be available shortly after this post is published. To subscribe to the podcast feed, please click here. Click here to download my press release. I’ll miss you, Jack. You were one of a kind.